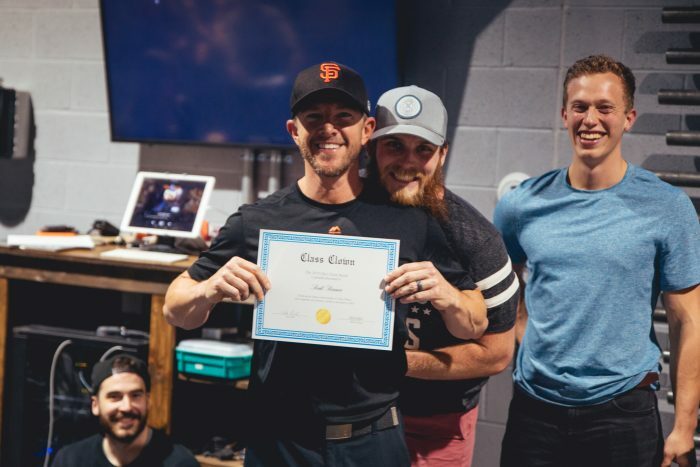 Throughout our first year at Nexus Fitness, we have encountered some pretty incredible people. Every single member, coach and supporter contributes to the Nexus community that makes Nexus, Nexus! 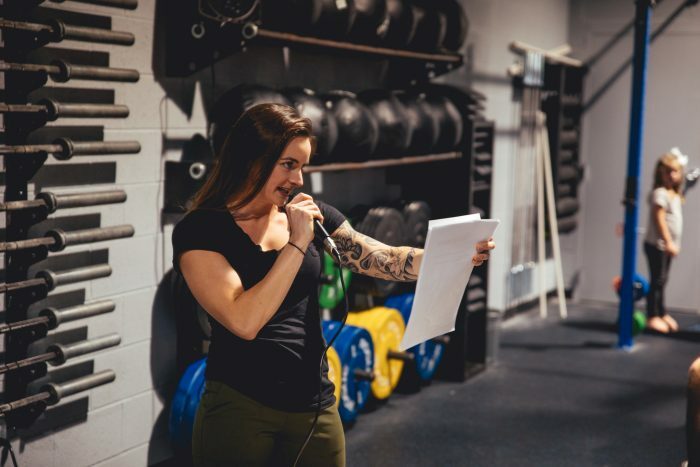 As we celebrate one year, we thought it would be fun to highlight a few people who have stood out for having a notable quality — great workout clothes, really loves chalk, makes a hilarious face on the TrueForm, etc. Check out our Nexus Superlatives below to see who our community voted as deserving of these fun awards! 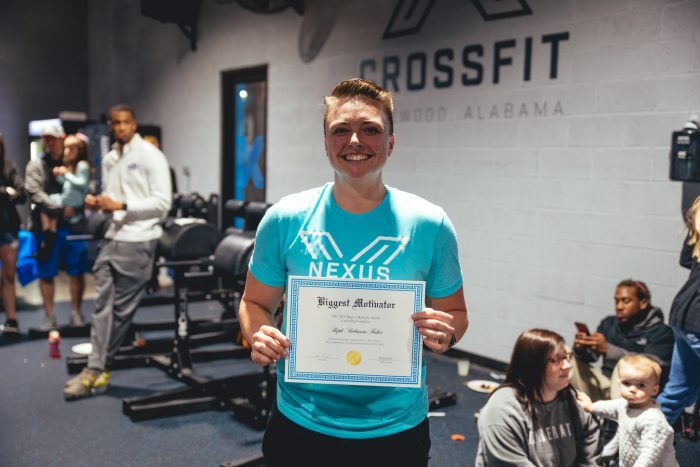 Most Improved – The members who have been truly impressive in improving their skills throughout their time at Nexus thus far. Chalk Monster – Too much is never enough for the Chalk Monster. There’s always some creative chalk-work on the floor when they leave a CrossFit workout. First place in this category is Jamie Martin, and “Andrew Wolverton’s Kid” won a close second. 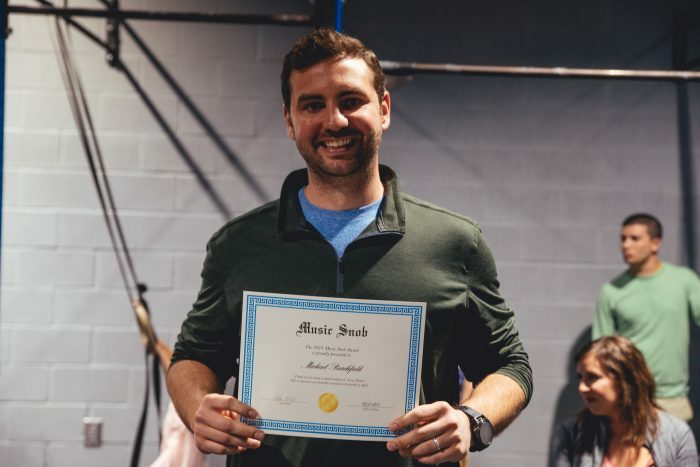 Class Clown – Things are rarely too serious at Nexus Fitness. These Jokesters keep us all laughing. Our class clown of Xcel is Ronnie Gatrey. Our class clown of CrossFit is Scott Bruner. Music Snob – Jake’s Classic Rock or Ben’s Rap? Chris’s Latina Dance-Pop or Jess’s Throwback 2000’s? You won’t have to guess which one this person prefers – they are always sure to tell you their preference! The Xcel music snob is Michael Burchfield. 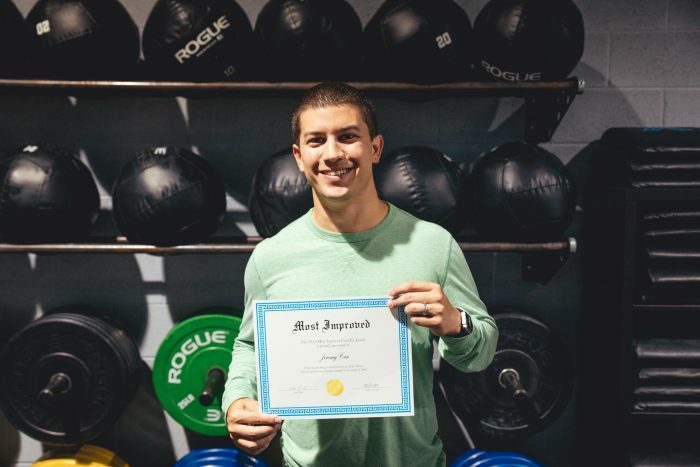 The CrossFit music snob is Jason Avery. Best Dressed – You know who they are because you compliment their outfit every class. Our best dressed Xcel member is Adams Prichard. 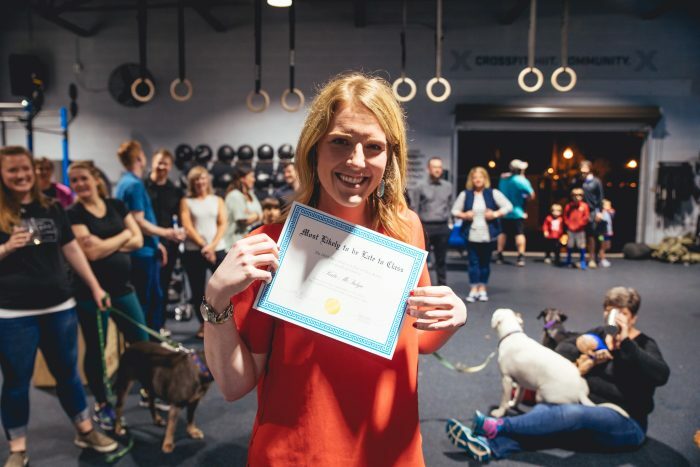 Our best dressed CrossFit member is Katherine Collier. Best Lifting Face – Everybody has a special face they make when maxing out, but this person’s lifting face takes the cake. The best lifting face goes to Nathan Davis. The best TrueForm face goes to David Presley (check it out below!). Biggest Motivator – Need a little motivation? Stand by this person! They are always there to cheer you on. The biggest Xcel motivator is Emery Hicks. The biggest CrossFit motivator is Stephanie Fisher. 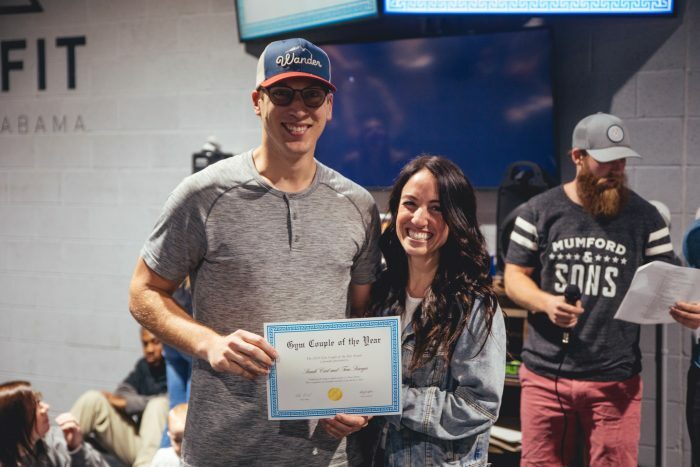 Gym Couple of the Year – This couple brings a whole new meaning to holding each other accountable and getting involved at Nexus Fitness! 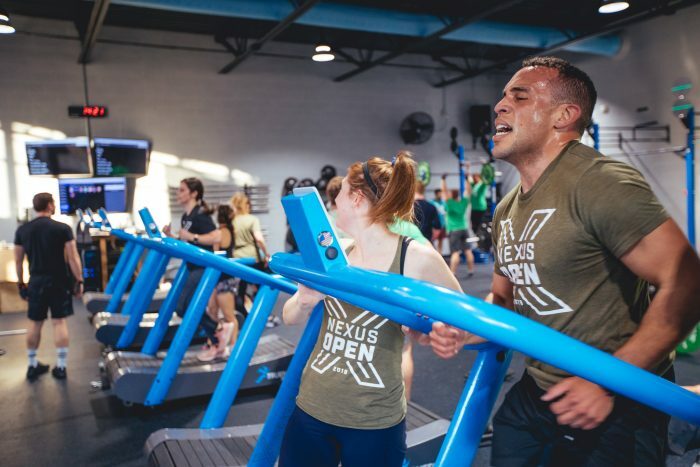 Sarah Cait and Tom Sawyer are Nexus Fitness’ couple of the Year. Most Likely to be Late to Class – Your coaches may be shaking their heads every time, but hey, better late than never, right? Plus, we still love them! Brandon Stewart is most likely to be late to CrossFit. Katie McIntyre is most likely to be late to Xcel. Thanks to everyone who voted! While these nominees took the top spots, there were plenty of people who could have been chosen for each award. Thanks to our members for being the best!